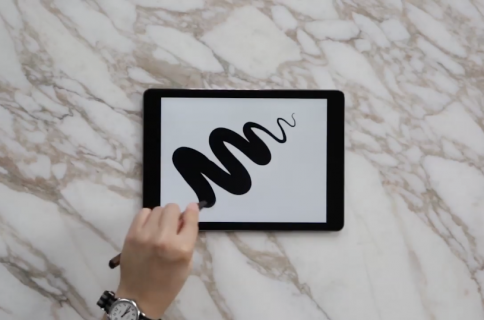 FiftyThree, the fine people who brought you the excellent iPad drawing program aptly named Paper, have been taking pre-orders for their companion high-quality stylus, the Pencil, for more than a month now. As we explained in the announcement post, the Pencil uses power-efficient Bluetooth 4.0 technology to communication with the application running on your iPad. But it’s the marriage of high-quality Pencil hardware and premium Paper software which enables seamless features such as the ability to carve away parts of your drawing using a built-in eraser, without having to switch in-app tools first. 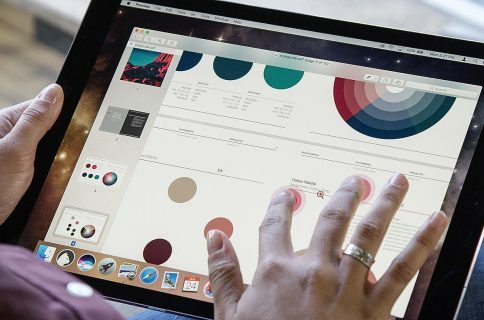 Paper 1.5 for iPad introduces “the most sophisticated” palm rejection which requires no setup or calibration whatsoever. The app’s ink engine has been rebuilt for speed and responsiveness “across all tools”. Artists who can’t wait to start creating using the Paper + Pencil combo will be delighted to learn that the new version now supports Pencil’s smart built-in eraser. There’s also a smart Blend mode where you smooth out the edges and colors using your fingers. Like Eraser, Blend doesn’t require you to select a tool so it’s pretty seamless. This version of Paper is required to use your Pencil. Palm Rejection— Pencil and Paper work together to produce the most sophisticated and effective palm rejection in any app available today. No setup, no calibration, just natural feeling writing and drawing. Erase— Pencil’s unique built-in eraser lets you get down to what’s essential. Blend— Pencil takes care of the lines so you can use your fingers to blend colors on the page and smooth rough edges without ever picking up a tool. Expressive Ink Engine — Rebuilt to feel faster and more responsive across all tools. And here’s a nice Pencil promo video. 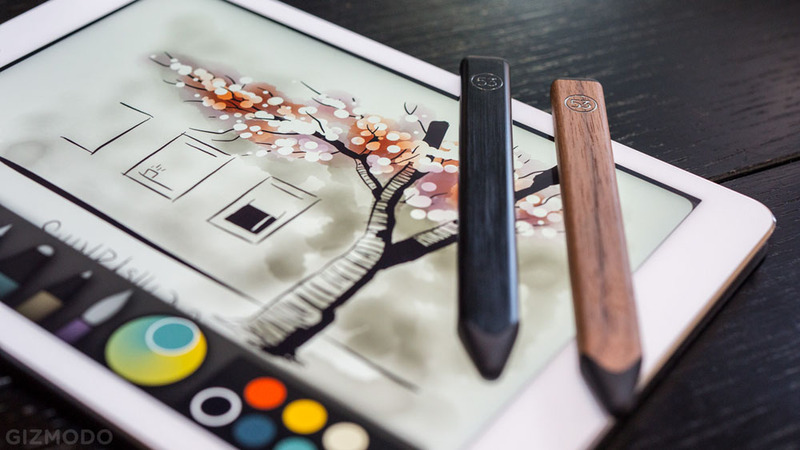 The Pencil stylus is available in the $59.95 brown walnut edition with magnetic snap and the $49.95 graphite version with brushed aluminum unibody construction. After taking pre-orders for more than a month, first Pencil shipments are arriving later this week. 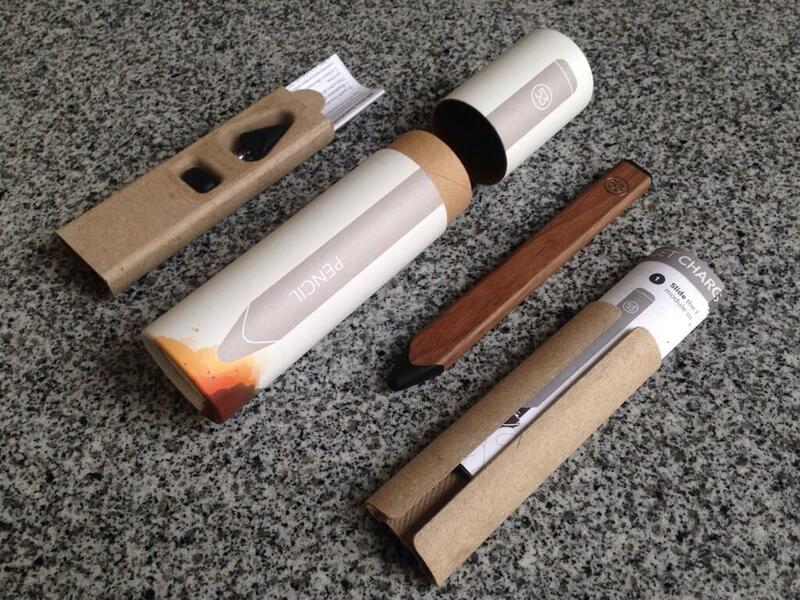 The packaging is awesome – looks like a precious gift! These are introductory rates that won’t last forever. To get notified when the Pencil starts shipping in your country, sign up for email alerts here. The Paper app is a free iPad-only download from the App Store. Paper has basic brushes and tools, with more available as in-app purchase.